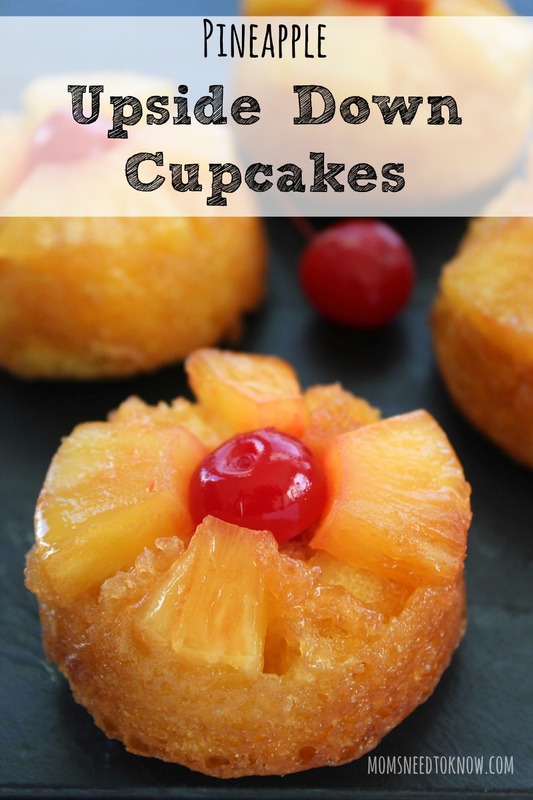 These pineapple upside down cake cupcakes will take you back to your childhood! I don't know why these aren't served as much these days – but they SHOULD! Pineapple Upside Down Cake really used to be more of a “thing”. I don't know why people don't make it as often as they used to, but it seemed to be a staple when I was younger. It was the cake that we all used to convince ourselves was “healthy” – after all – it doesn't have any icing and it actually has fruit in it! I generally like making cupcakes more than making a cake (it's portion controlled; if I am having a party, it is easier to serve – no need to worry about having a cake knife, etc) and cupcakes are just more fun to eat, in my never to be humble opinion (have you TRIED my Oreo Stuffed Cupcakes with Cookies and Cream Frosting yet?) . They just take me right back to my childhood! I use a box mix for these. I know that many people prefer to make it from scratch, but they really do bake and rise beautifully. 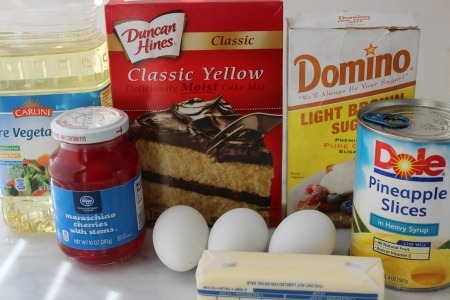 You can always buy an organic non-GMO Yellow Cake Mix if it makes you feel better! 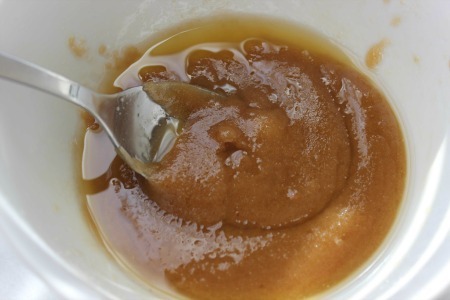 In a separate bowl, combine the melted butter and brown sugar. 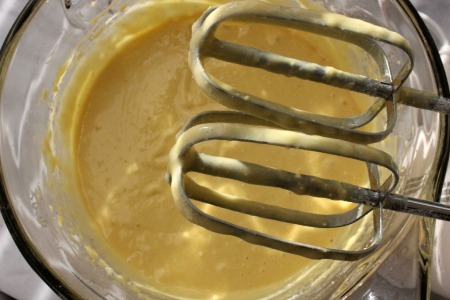 Spoon 2 teaspoonfuls of this mixture in to the bottom of a cupcake pan that has been sprayed with non-stick spray. Arrange pineapple chunks in a circle on top of the brown sugar mixture, with a cherry in the center. Fill cupcake tins 2/3 full with the batter. 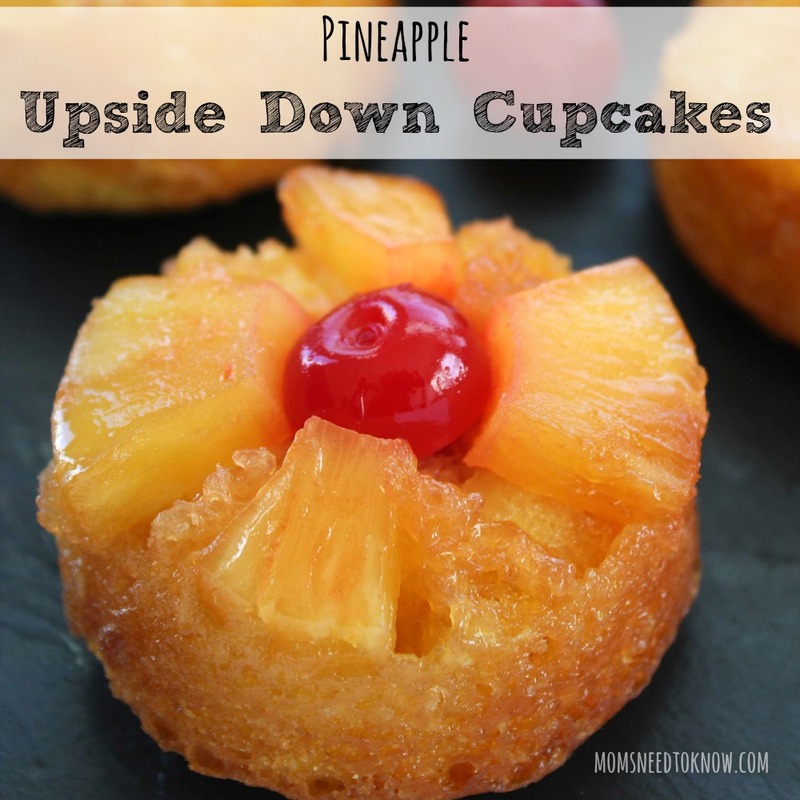 These pineapple upside down cake cupcakes will take you back to your childhood! I don't know why these aren't served as much these days - but they SHOULD! 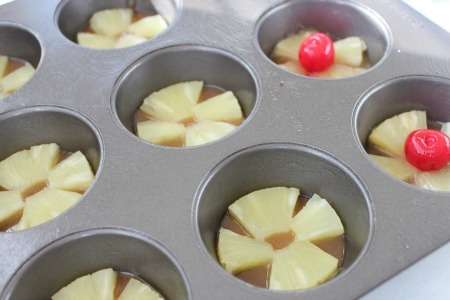 Just had to have my cousin send me this link, to try these Pineapple upside down cup cakes!!!! Hi there! Visiting from Best of the Weekend. My favorite part of Pineapple Upside Cake is always the pineapple/sugar part and I feel like this increases the ratio of pineapple to cake! Perfect! I am definitely going to try this! Pinned! My kind of treat – pretty and yummy. I’m such a fan of pineapple! This looks amazing! These look delicious!! I think these cupcakes would be a great statement piece for a party too! Thanks for sharing at Merry Monday! I always loved pineapple upside down cake when I was a kid. Haven’t had it in years. You’ve got my mouth wateirng for it.